Set Of 4 Pcs. 2 Pcs FRONT L/R With Blue LED And 2 Pcs REAR L/R With Blue LED. Install Them By Connecting It To Dome Light, Blue Light Will Automatically Light Up When Door Is Opened. Made Of High Quality Stainless Steel With Silver Chrome Finish. 100% Brand New. Easy And Quick Installation, Comes With Automotive Adhesive Tape. Door Sill Plates Helps Protect The Interior Door Sills From Scratches. Gives Your Car A New Elegant Look. The LED Scuff Plate Will Have The Text "ASPIRE" Written On It And Glows Blue When You Open The Door. 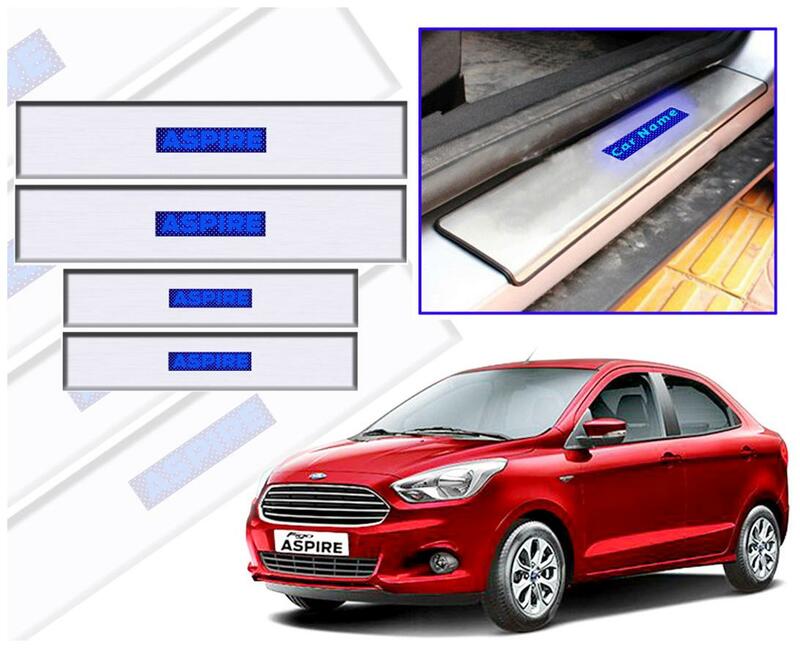 Package Includes 4 X Door Sill Scuff Plates With Blue LED.